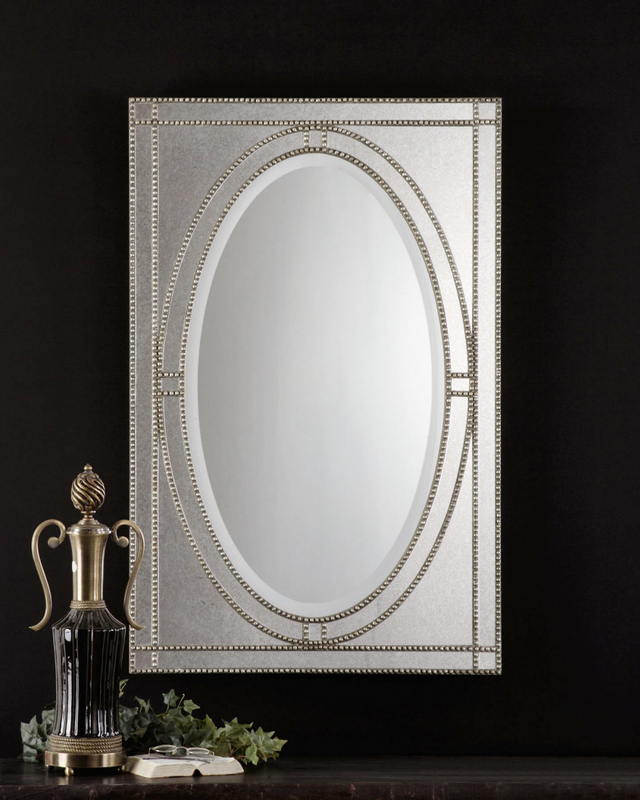 This mirror features heavily antiqued silver champagne finish over beaded framework with a dark gray glaze and antiqued side mirrors. Center mirror has a generous 1 1/4" bevel. Dimensions: 28"W x 44"H.